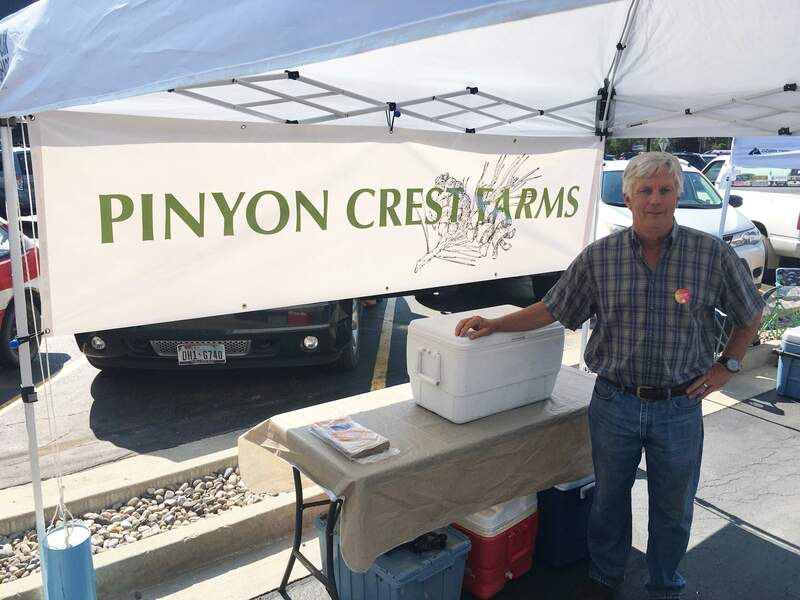 Blake Knoll is trying his hand at farming for the first time by forming Pinyon Crest Farms and selling vegetables at the Durango Farmers Market. Blake Knoll picked a tough time to start his first year farming. Knoll, who recently retired, is the only employee at Pinyon Crest Farms and had to deal with the drought that has hit southwestern Colorado. Knoll had previously worked as a field geophysicist for oil and gas companies. He had always loved gardening, and had thought about picking up farming once he retired. Knoll does all the work himself, though sometimes he has his kids help him out when they’re in the area. Knoll uses raised bed farming infused with organic matter, which helps soil drain more quickly. He also uses drip irrigation and doesn’t use any herbicides or pesticides. He grows zucchini, squash, swish chard, tomatoes, peppers, melons, winter squash and broccoli, although he keeps the broccoli for himself. “Right now I’m just doing the basic vegetables,” Knoll said. The concept of making a living on a small acreage farm is fascinating to Knoll. He also enjoys meeting young farmers enthusiastic about the business.